Here’s a quick breakdown on how you can not only get faster browsing speeds but also more leeway when it comes to browsing content on the Web. This method works for Windows 7, 8 and 10. See the network status notification icon on the bottom right of your screen? Right-click on it and select Open Network and Sharing Center. 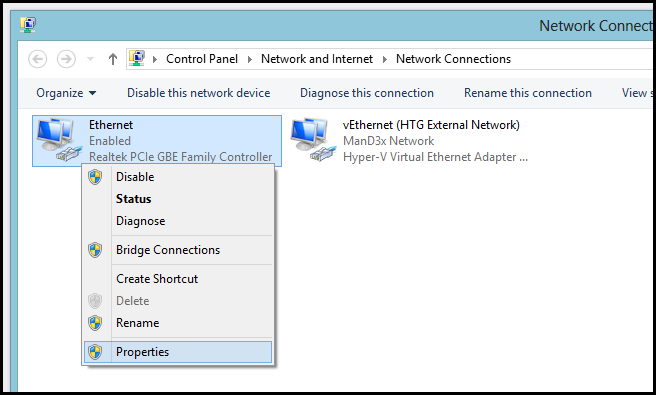 Next select Change Adapter Settings on the left-hand side of the Network and Sharing Center window. Quick Hax: Skip the steps above by typing ncpa.cpl into the Start Menu’s Search or Run box. 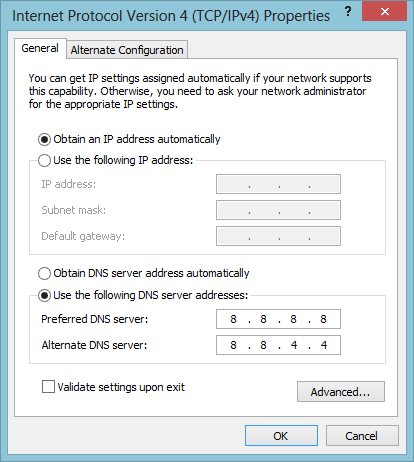 Now right-click on your preferred network adapter that you wish to change the DNS settings for and select properties from the drop down tab. 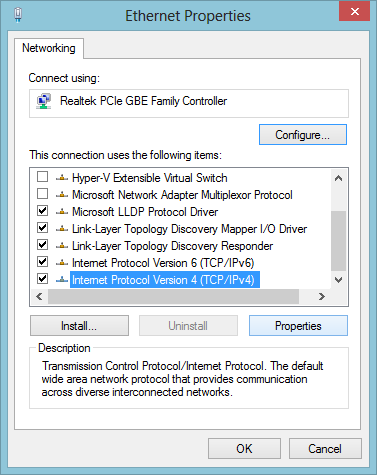 Once the Ethernet Properties window has opened, highlight Internet Protocol Version 4 (TCP/IPv4) and select Properties. Now simply fill up the DNS settings that you would like to use and you’re pretty much good to go. And that’s all there is to it. Enjoy browsing the Web.